Guess what's Shin Hye doing on a perfectly sunny Saturday? She's practicing the gayageum (가야금)! 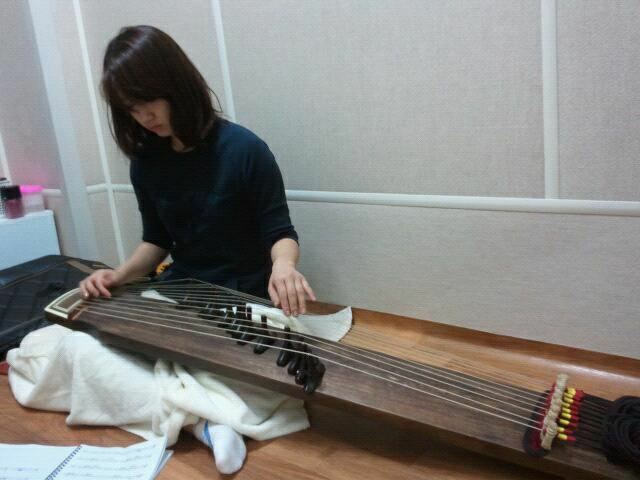 On March 26th, her entertainment agency revealed a photo of our favourite actress practicing the gayageum. The photo is captioned "Even on the weekend, Park Shin Hye does not rest and keep on practicing the gayageum alone." Aww. it was reported earlier that Shin Hye has been taking daily Gayageum lessons with a traditional music professor at JoongAng university to prepare for her upcoming drama "Festival". CNBlue's Jung Yonghwa, Kang Minhyuk and actress Kim Hee Jung are also part of the main cast. Please give our hardworking princess lots of support and love! Fighting, Shin Hye!! I do not seem to play park shin hye, but beautiful anyway. Definitely supporting her to the max! ... i will forever be a supporter of Park shin hye....i even pray that Shin hye and Sukkie will grow old together happilly...with a very successful married life.....i love you both guys, i really do. 그리고 난 영원히 당신을 사랑 합니다.